I only have slight brain problems. I love HaruChiha way too much. Thanks, for the heads up. I knew Takane was born in January. I forgot what day exactly. It seems like the im@s cafe used Takane's 10th anniversary outfit for the promotion. Made some ramen as soon as I got home! (the cheap kind tho ) Idk if this already a thing somewhere in the JP community, but today should be called Ramen Day where all the im@s/Takane fans get together and collectively eat Ramen at a certain time. Capricorn flame extinguished! Now it's Aquarius time! 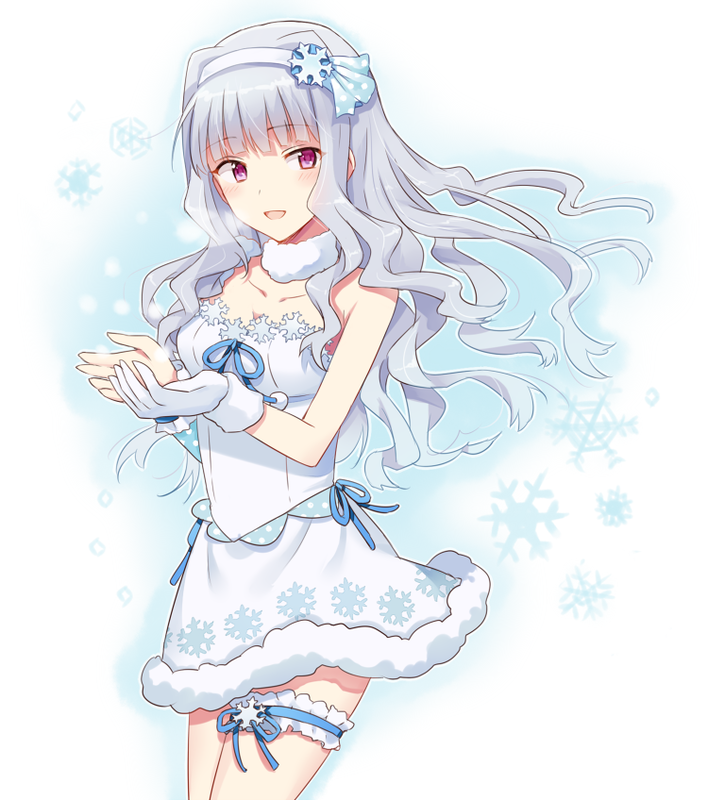 Happy Birthday to our lunatic idol, Takane! And Yumi Hara! 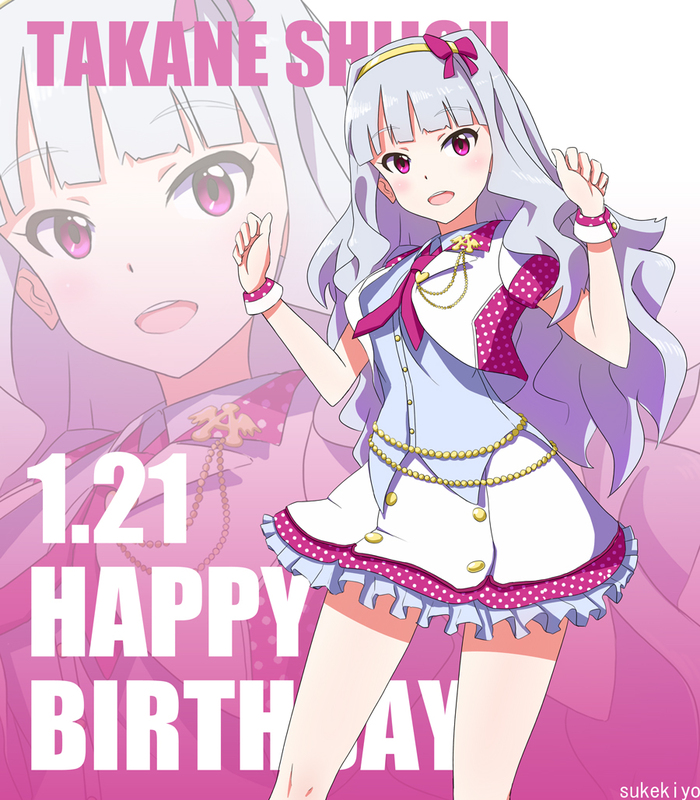 Happy Birthday, Takane Shijou! You're the most beautiful idol I have ever seen. I rated you as S in my Facebook waifu rating group! You are elegant & amazing! That being said, on the wiki there are some things about her that I don't remember from any of the material I know, so I was wondering if someone could tell me where it is from, ideally give me the exact source. Firstly all of "Takane's birth parents are not in custody of her at the start of the game, and she has not had contact with them for some time. The Shijou family adopted her some time before the start of the game. She is appreciative of this, and by most accounts has a good relationship with her adoptive parents, though they placed odd restrictions on her at times (such as forbidding her from wearing traditional Japanese clothing despite frequently wearing it themselves)." and then from the trivial section "Takane loves to watch shows that are meant for children and toddlers".